Acts thoroughly to fight against the signs of aging. Helps boost the skin's functions and revitalize it. Restructures intensely and brings back density, tone, firmness, and comfort. Helps proctect stem cell habitat. 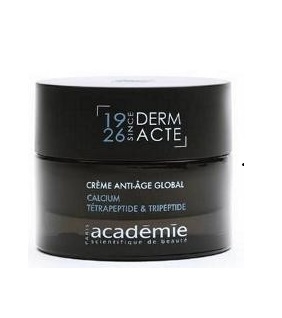 Watch how this instant age recovery cream transforms and at the same shields your skin and effectively recovers the youthful skin you lost over time due to external pollutants. Your skin appears healthier, more luminous and younger looking after a few applications. Turn Back Time with this Instant Age Recovery Cream . . .
- The face is reshaped and brighter. - The skin is visibly younger-looking. Morning and/or evening, on a cleansed skin, apply with light massage movements over face and neck.